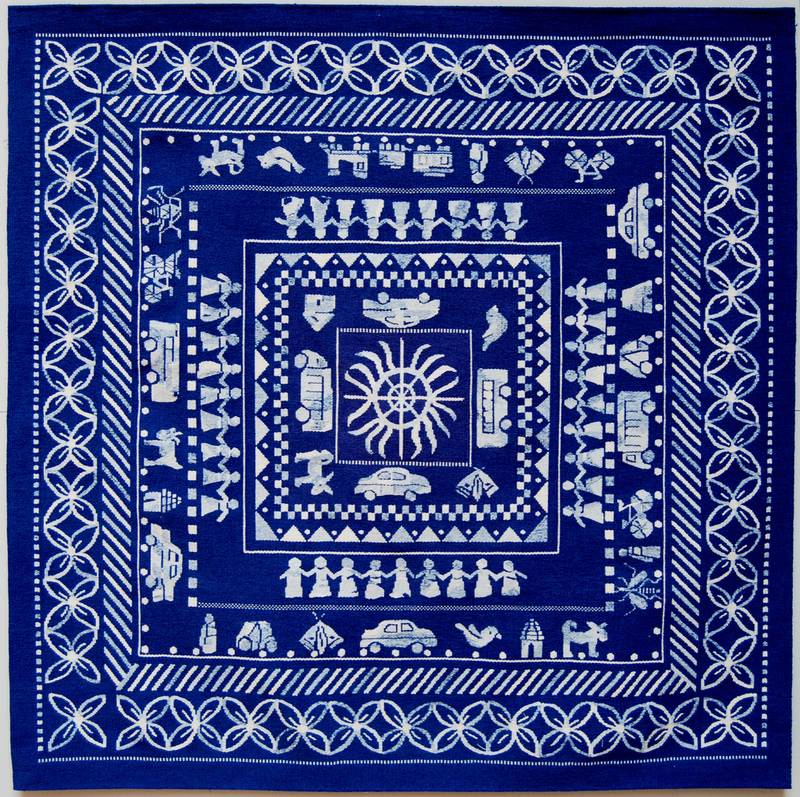 In 2011 The Dovecot Studios hosted an extraordinary exhibition of the weavers of West Bengal. This followed a trip to West Bengal by Naomi Robertson, a Master Weaver at the Dovecot Studios. “Kantha Diaries” was a reflection by Naomi of that exceptional experience. Naomi employed two primary features of the West Bengali crafts of Kantha embroidery and the rice paint decorations of traditional buildings of the region. The design is a squared composition with traditional patterns framing a series of images of the trip – look carefully to see the cockroaches, mosquitoes, cars and buses themselves framing a row of doll like figures.